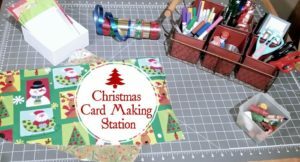 Please join us on Saturday October 13 from 10am – 3pm to make beautiful Christmas cards. Let Barb Jones know by September 29 if you wish to attend. Cost is $30 and you will make 12 cards. You will need to bring adhesive, scissors, ruler and pencil and your lunch. No experience necessary!